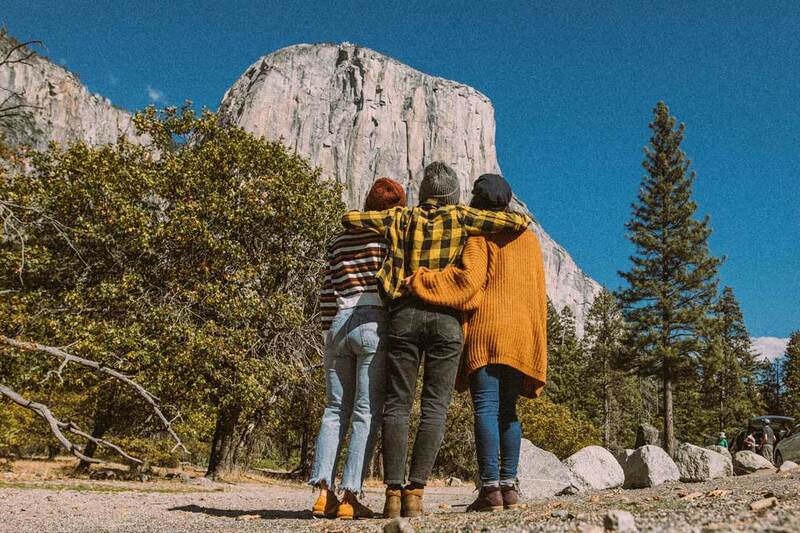 It’s never easy for Teva Explorer Kylie Fly to get together with her triplet sisters, but when rock climbing in Yosemite National Park is on the agenda, how could they say no? It’s never an easy feat getting together with my triplet sisters, Lisa and Megan. We’re famous for our annual birthday trip, so squeezing in a second adventure during the year feels like asking for mountains to move. But, with winter nearing, I remembered that neither of my sisters had ever visited Yosemite National Park. Such blasphemy! What better time to visit then at the turn of seasons? “Just so you know, we’re going to Yosemite.” That was all I needed to say, and my sisters were in. We made the decision to go to Yosemite during a three-way call — an accomplishment in and of itself, considering all of our crazy schedules and radically different lives. 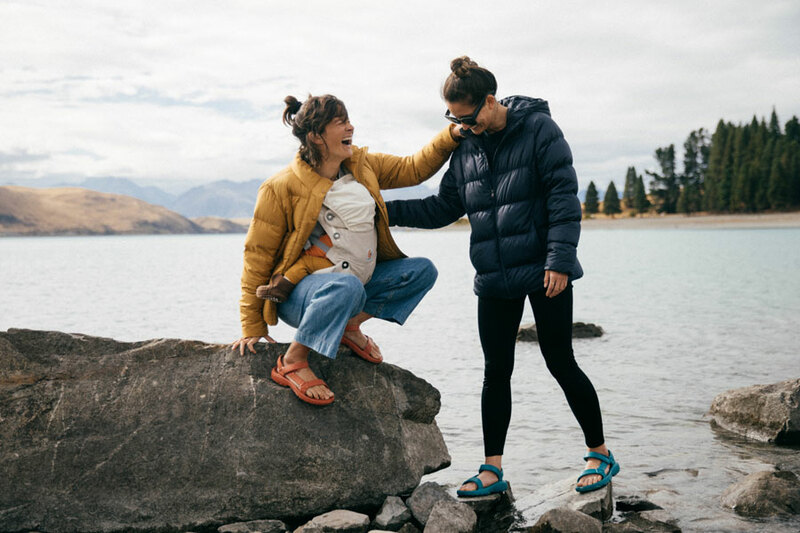 The Teva Women’s Ember Moc Velvet in Amber, which features a collapsible heel, making it the perfect camp shoe. 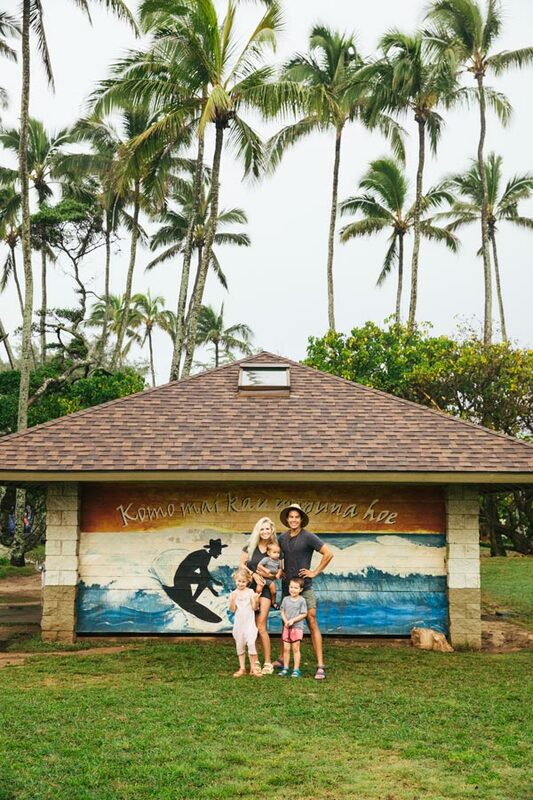 Kylie wears the waterproof leather Teva Women’s De La Vina Dos Alpine Low in Pecan. 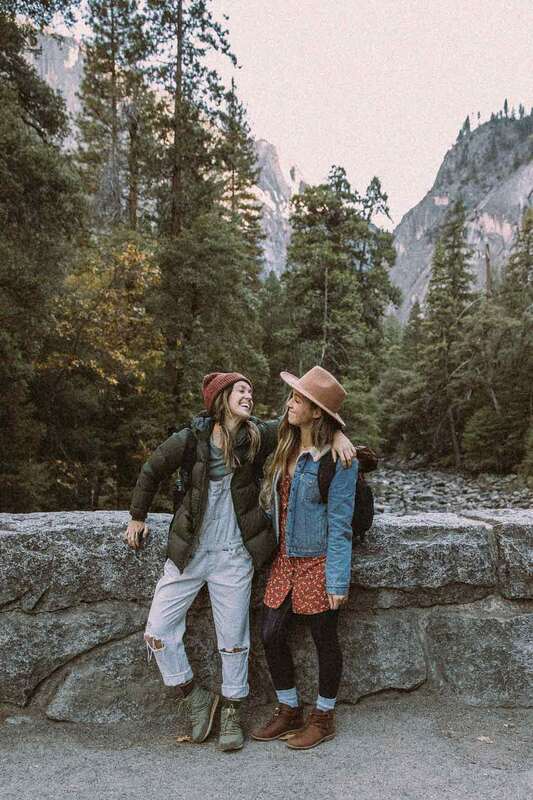 Yosemite National Park stretches more than 1,100 square miles and is visited by more than 3.5 million people every year, so we’d be arriving at the perfect time for fewer crowds and cooler weather conditions. There’s nothing quite like the contrast between the golden meadows and freshly fallen autumn leaves against the gray granite walls of Yosemite Valley. 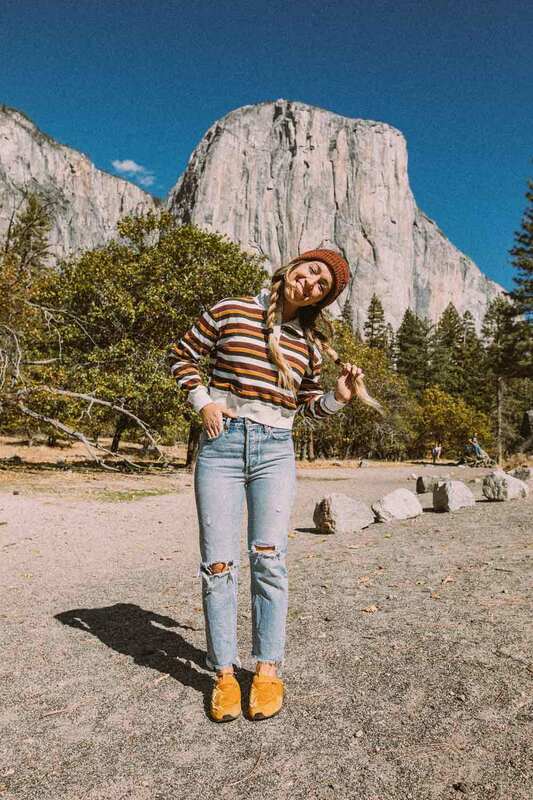 I couldn’t wait to see my sisters’ faces light up when they first looked at El Capitan, one of the most magnificent and prominent features in the park and one of the first things you see driving in. Although this was one of many Yosemite trips for me over the years, this one felt especially exciting because I would be taking my sisters rock climbing for the first time. 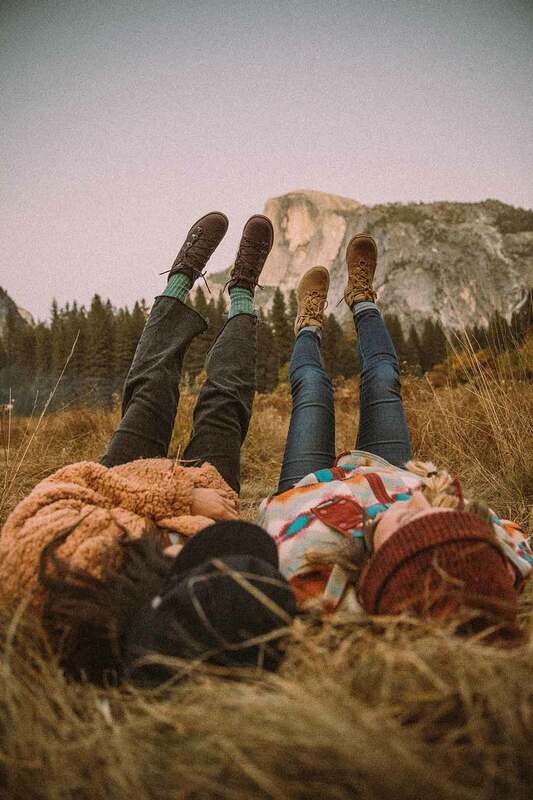 Pictured: (left) Teva Women’s De La Vina Dos Alpine Low in Pecan and the Teva Women’s Arrowood 2 Mid Waterproof boot in Desert Sand. 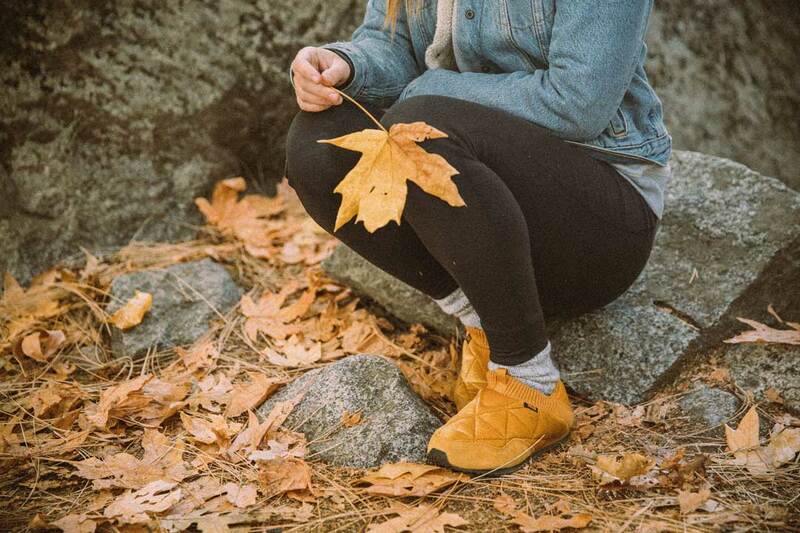 The Teva Ember Moc Velvet in Amber, doing its best to match the environment. We stayed at Half Dome Village, a beautiful and quaint resort with a series of canvas tents nestled right in the heart of the park. 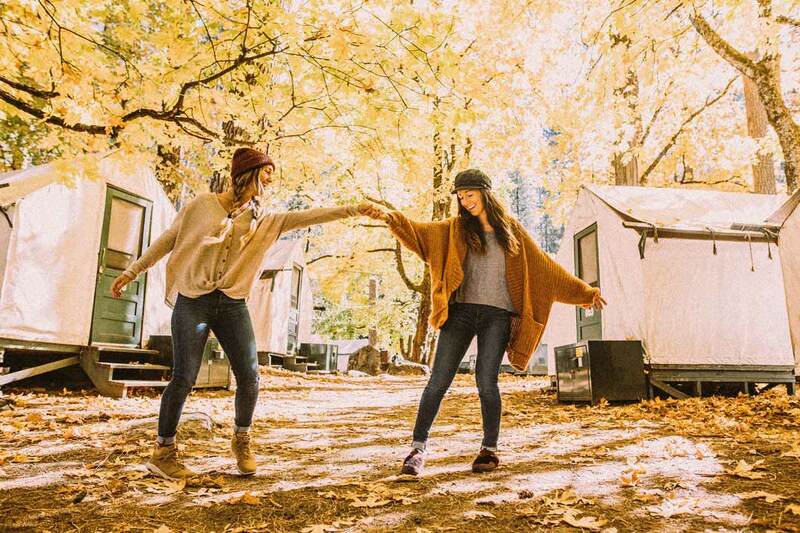 It’s walking distance from many of the most beautiful sites, and each yurt is equipped with beds, optional heating, and easy access to communal bathrooms and showers. Half Dome Village is an ideal place to call basecamp. We hiked by day, and hung out at camp in the Village by night. 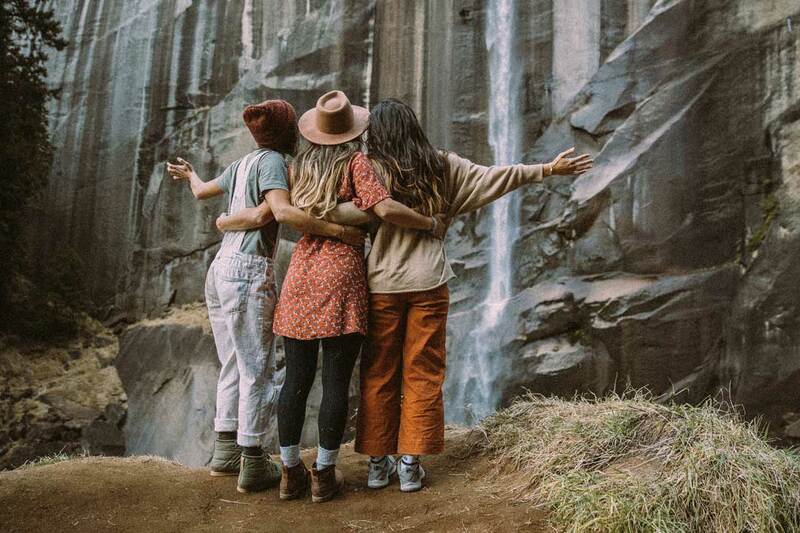 I knew my sisters would enjoy a beautiful, mellow waterfall hike, so we started at the Happy Isles trailhead (that’s shuttle stop #16 if you opt to take the shuttle) in the eastern Yosemite Valley for spectacular views of Vernal Falls. 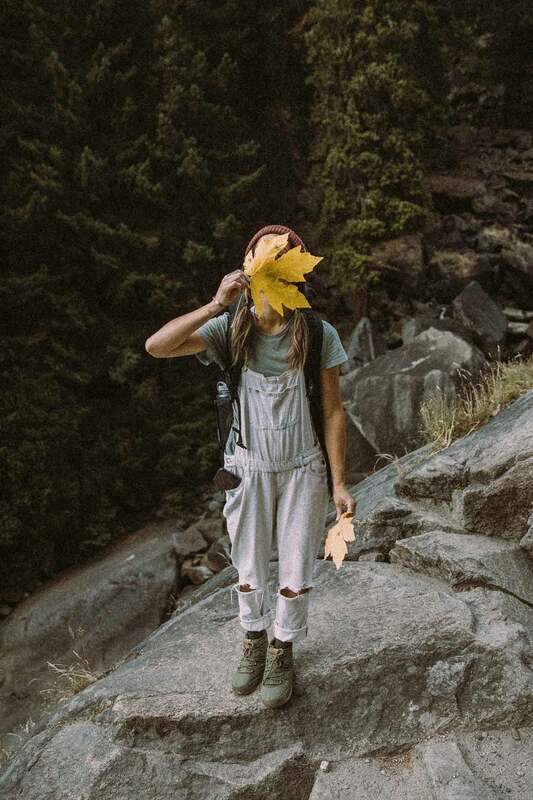 The Vernal Falls hike is a 2.4-mile round-trip hike, short but strenuous enough that you’ll feel justified to tick off your cardio box for the day — you’ll gain 1,000 feet in elevation and be hiking for about three hours (including some time to hang out at the top). 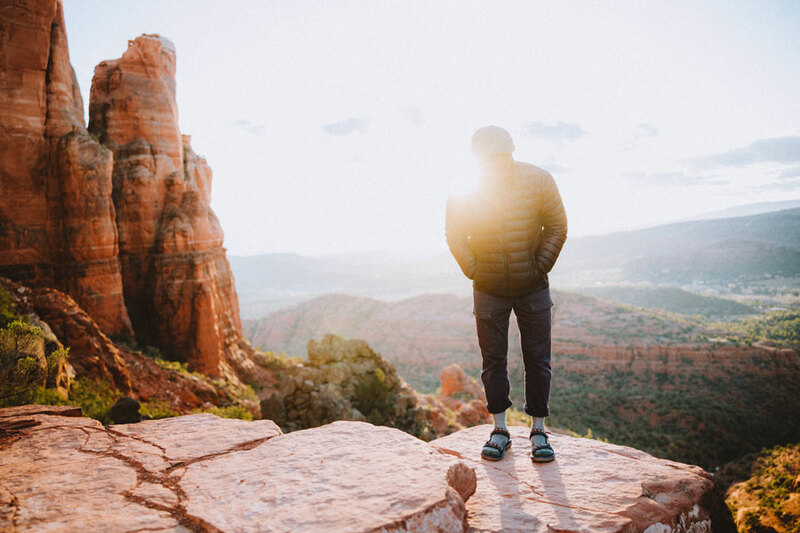 The overspray of the 317-foot falls put our Teva boots’ grip to the test, and we’re glad to report they performed swimmingly! The soft and cozy Teva Women’s Ember Lace in Burnt Olive. 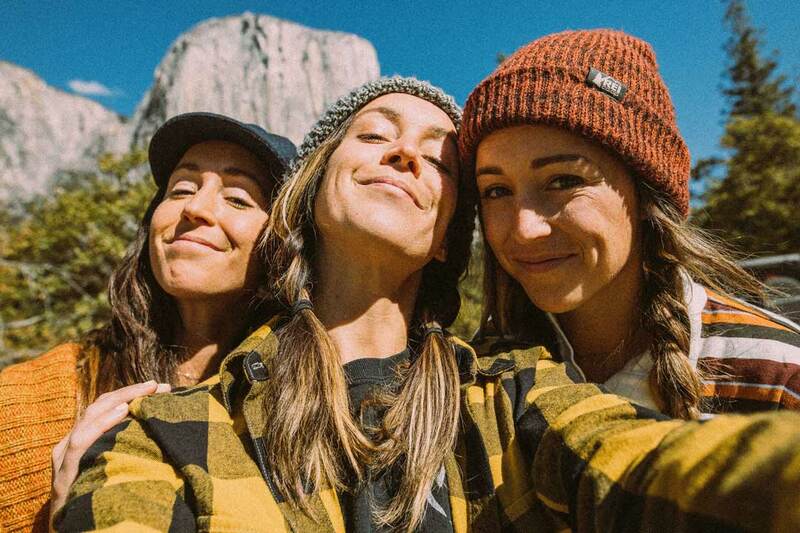 The next morning, we were warm and cozy in our sleeping bags, but I already had my eyes glued to the Mountain Project app, trying to find climbs to take my sisters on that felt safe, accessible, and fun. I had looked forward to this day for a very long time, the day I could introduce my best friends to a world in which I spent all my time. Climbing was not something we grew up doing in our family, so to watch my sisters light up when they sent their first routes and to be able to give them high-fives once their feet were safely back on the ground was pure elation for me. 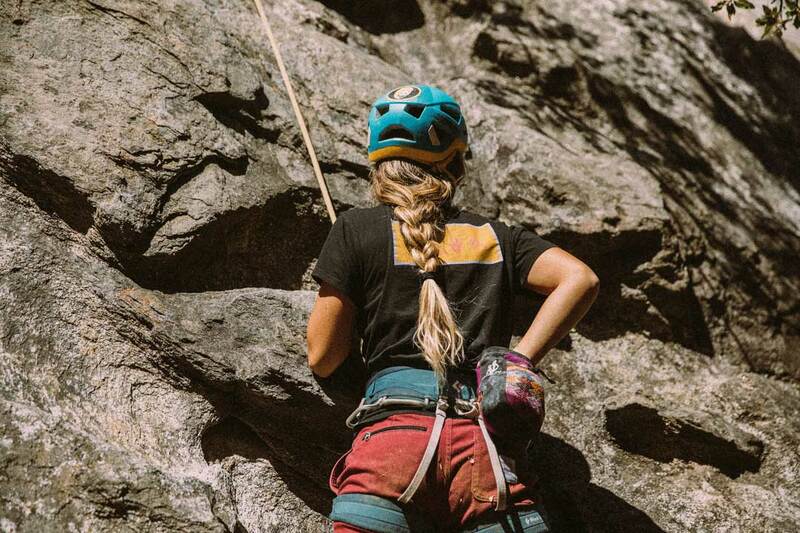 Climbing is a new, exciting and challenging endeavor in the outdoors for them, and they felt accomplished and strong. I think that’s one of the best gifts you get from climbing, and what better place to learn than Yosemite itself, the birthplace of modern American climbing? 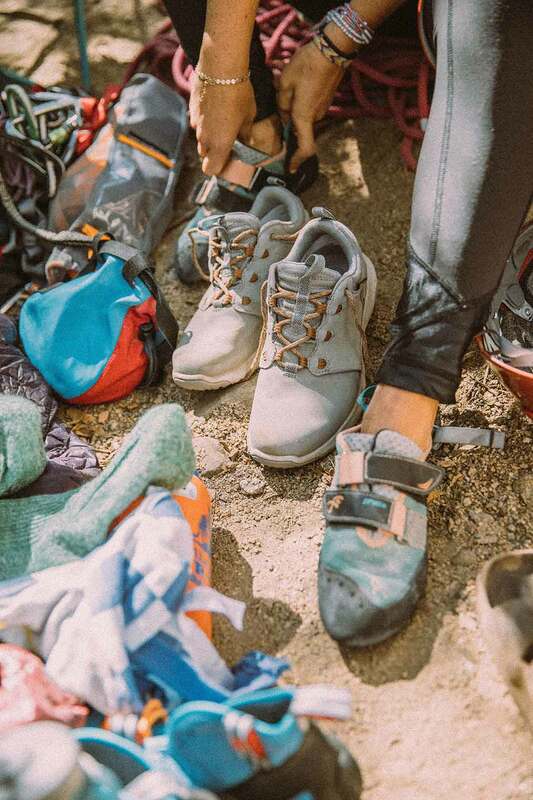 Kylie and her sisters momentarily swap the Teva Women’s Arrowood 2 Waterproof shoe in Wild Dove for climbing shoes in Yosemite Valley. Before we knew it, our time together was up and we were shuffling loads of gear from our cars and hugging each other goodbye. Every minute we get to spend together is a minute we get to grow closer. After years living and growing apart, these trips allow us to cherish each other, even when they get a little messy. No sister trip is ever a sister trip without a proper balance of crying, laughing, hugging, fighting and making up again. When all is said and done, all we want is be together because life is better that way. 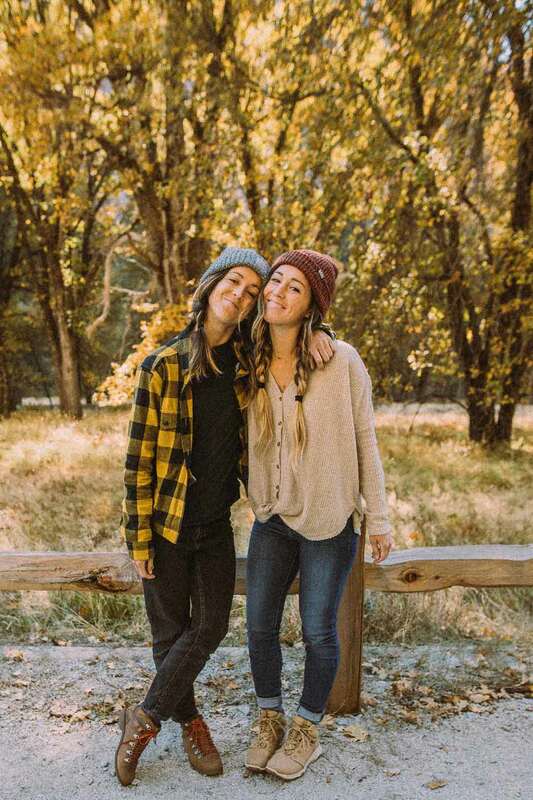 The gold hues of Yosemite were the perfect backdrop for my two favorite hearts of gold: my triplet sisters. 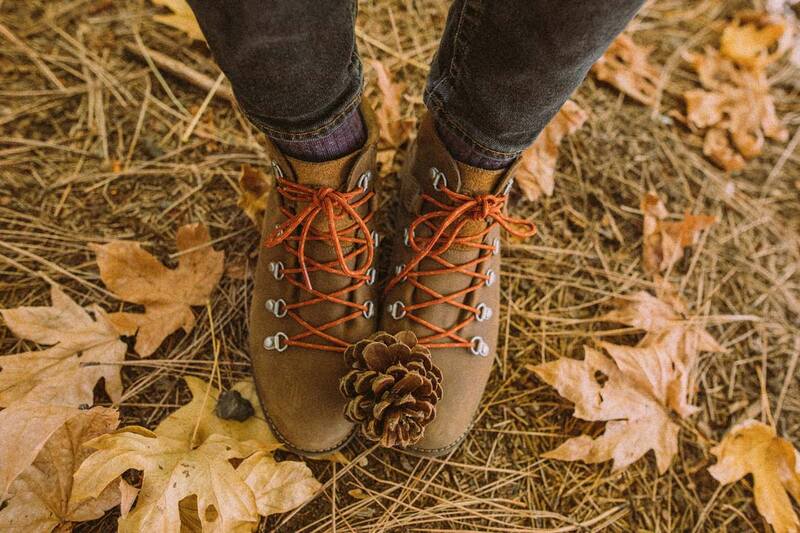 Shop these and other favorite fall styles at Teva.com.